There has been a wide debate about whether God answers prayer or is indifferent to us. Some say that God always answers prayer as long as we believe He will. This is taught by those who teach the prosperity gospel. Some say there are too many people for God to listen to each individual prayer. This is believed by those who don’t want to follow after God’s truth found in the Bible. We are going to take a look at the three answers that God gives to prayer, and the scriptures that back them up. We will also look at why it is important to understand why God gives these types of answers. Keep in mind that all these answers depend on qualifiers that need to met. The first answer is: yes, God does answer prayer. We will talk about the qualifiers after I show that God answers some prayers with a yes answer. Clearly the scriptures are showing that God is a God who answers prayer. In fact, he longs to answer our prayers; He delights in giving good gifts to his children. So we see here that God does at times answer prayer with a yes, but what about the qualifiers to the “yes” answer? 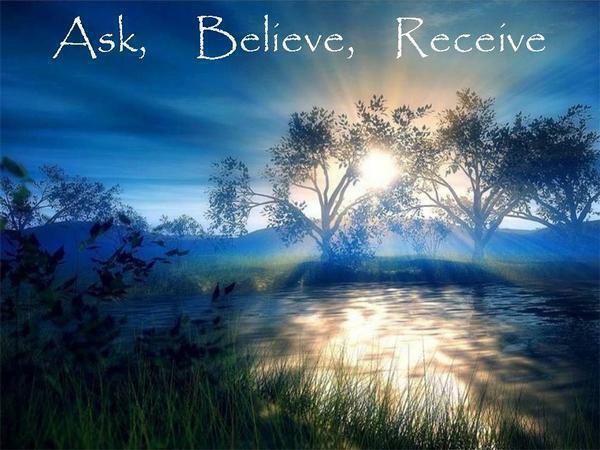 You have to do more than just ask; you must honestly believe that God will answer your prayer. It isn’t mentioned as often as the verses that say that you will receive, but you must take the whole bible in account when it comes to prayer. So, to get an answer requires that you absolutely believe you will get an answer. That doesn’t mean that you will get a “yes” though. We are also told to ask in Jesus’ name – that’s very important. Jesus died for us that we might have life, so we need to go to him and in his name ask for the things we need. There is also a qualifier that gives you a “no” answer. And, being assembled together with them, commanded them that they should not depart from Jerusalem, but wait for the promise of the Father, which, saith he, ye have heard of me. 5 For John truly baptized with water; but ye shall be baptized with the Holy Ghost not many days hence. Here God made the disciples wait for the promise of the father that he would send the comforter to be with them for all times. This was the promise of the Holy Spirit. If you study it, they waited ten days to get that promise. He didn’t make them wait because he wanted to toy with them, but so that they would be ready to receive what God had in store for them. Sometimes, God makes us wait so that he can purify us to be ready for what God has prepared for us to receive. So we see that God doesn’t always answer as we expect, but he answers according to his will. However, he still always provides an answer. Whether it is yes, no, or wait, there is always an answer. God promised to provide all our needs as promised in the bible, but nowhere does he promise to meet our wants.